In this small guide, we will explain to you how you can migrate your La Poste Colissimo account to the Universal Shipping Calculator when using the WooCommerce Table Rate Shipping Pro Plugin. Read below. Download the .zip file for Shipping Pro Plugin and CSV file (data file) for La Poste Colissimo from My Account. Install WooCommerce Shipping Pro Plugin. For detailed information about installation, See How to Download, Install, Activate & Update WooCommerce Plugin? 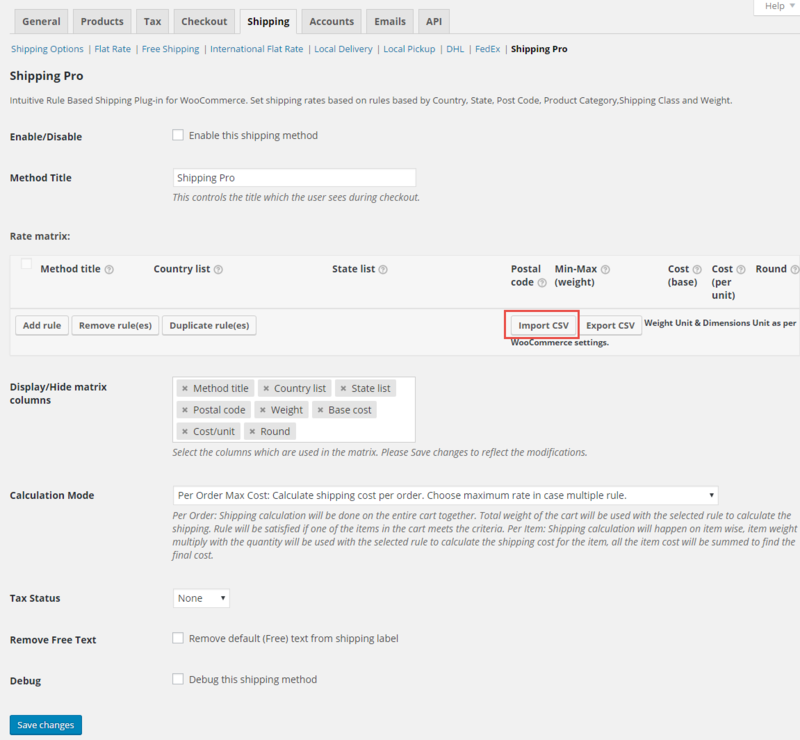 If the Shipping Pro plugin is enabled, you should be able to see shipping rates in cart/checkout page of your online store.